Abiola is a Technopreneur, an ardent advocate of quality software; passionate about seeing that businesses reap the full benefits of their investments in IT. Abiola has developed and patented a software product, Customer Management and Self Service software which has been integrated into some leading accounting software. As a Certified Ethical Hacker, she understands the possible means by which IT Systems can be exploited by a hacker, also her knowledge as a Certified Information System Auditor (CISA) makes her understand how controls can be built into a software system to ensure the business is protected from frauds and security breach. In June 2016, she participated in Testathon (a hackaton for testers organized by the Global App Testing) and she won the "Best Bug Award". 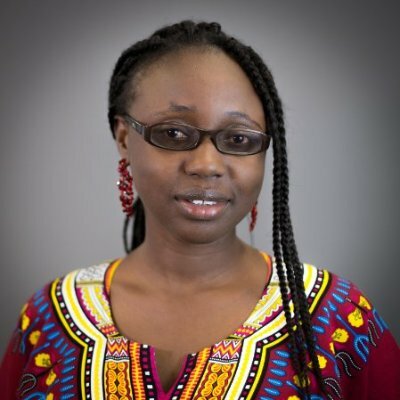 Abiola is an Alumna of US Department of State Bureau of Educational and Cultural Affairs; she was mentored and trained by the global leader in Cyber Security - Symantec Corporation at their headquarters in California. She worked closely with the development team at Symantec, where she was further exposed to various best practices and newer technologies in software development; while at Silicon Valley, She also had the opportunity of interacting with other leading IT companies such as Linkedin, Mozilla, Youtube, Google, Autodesk etc She is passionate about impacting knowledge into others, she believes our society still has so much to benefit from the application of IT hence wishes that many would be armed with programming skills. Just as MOAT provides security and ornaments when built around a castle, we at Moat Consulting Limited seek to beautify and secure businesses using Information Technology, with quality and security in mind as reflected in our color - brown which represents stability and quality. Copyright © 2018 Moat Academy . All rights reserved.